Sir Walter Raleigh completed in 1924. 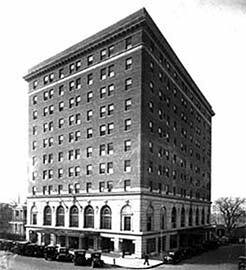 In 1923, at the request of developers Thomas Bland and Broadus Griffin, William E. Bolton Sr. left the Atlantic Coastline Railroad of Rocky Mount to oversee construction of the mechanical system for Raleigh’s first high rise hotel, the Sir Walter Raleigh Hotel. He remained as its maintenance engineer for a short period following completion. In 1925 William Bolton Sr. established W.E. Bolton Company for the purpose of installing and servicing coal-fired heating and commercial refrigeration systems for local dairies and meat packing plants. The Bolton Company endured the Great Depression and continued to grow steadily through the 1930s. W.E. Bolton Sr. leased an office and shop building on the corner of West Martin and Harrington Streets until the outbreak of World War II. Shortages caused by the war reduced sales and forced Bolton to operate his business out of his home. William E. Bolton, Sr. (wearing bow tie), William E. Bolton Jr. (second right), at the 519 West North Street Office in 1955 receiving the company’s first group insurance certificate from a representative of Blue Cross and Blue Shield. After 6 years aboard the USS Yorktown and finishing his degree from North Carolina State College, William E. Bolton Jr. joined his father, and with only three employees – opened a new office at 519 West North Street in 1946. W.E. Bolton Company played an active part of Raleigh’s phenomenal post-war growth. They continued serving their residential customers while seeking an ever-greater share of the commercial market. By 1956, the newly named Bolton Air Conditioning & Heating Company had outgrown its North Street offices. The construction of a 10,000 square foot office facility at 919 West Morgan Street was completed and occupied in 1957. 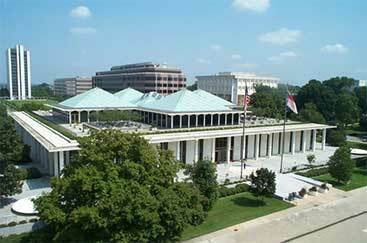 In 1963, the Company received its single largest project to that date when it was awarded the contract for heating and cooling the new North Carolina State Legislative Building. Work on the project coincided with the initiation of a decade-long move to broaden operations to include all mechanical trades (plumbing, heating, air conditioning, refrigeration, ventilation, industrial piping, utility, and electrical construction). A few of Bolton’s projects during this period included Martin County Hospital in Williamston, NC; North Carolina Archives & History Building; North Carolina Department of Administration Building; Century Station Post Office Renovations; and the D. H. Hill Library at NCSU. This diversification promoted a change in the company name to Bolton Corp. in 1970. Throughout the 1970’s Bolton Corp. grew in size and complexity, undertaking projects such as; Rex Hospital, The School of Veterinary Medicine at NCSU, The Radisson Hotel, The Raleigh Civic Center renovation, The One Hanover Square Office, UCB Plaza, and the American Airlines Hub at RDU. 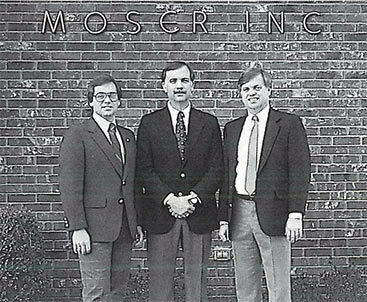 In early 1993 Bolton Corp. acquired Moser Inc. of Asheville, NC. Moser Inc., founded in 1928 by Verne Moser, also provided a wide range of plumbing, heating, and air conditioning services to commercial and residential customers. During Moser Inc.’s time serving the citizens of Western North Carolina they completed many impressive projects at establishments such as Grove Park Inn, The Biltmore Estate and the Asheville Civic Center just to name a few. Verne Moser’s son, David Moser, and son-in-law, John Harrower, both joined the Moser Company in 1945. By 1972 Mike Moser, Scott Harrower and Steve Harrower, all grandsons of Verne and the third generation, became actively involved with the family business. Many former Moser Inc. employees still work at Bolton’s Asheville Office, including Steve Harrower, VP. By the late 90’s Bolton Corp., with William E. Bolton III (Bill) as President and CEO, had nearly 500 employees and offices in Raleigh, Asheville, Morehead, and Wilmington. Following the death of William E. Bolton Jr. the Bolton family business began a transition to split into separate business units among the Bolton Brothers; Mike, Doug, and Bill. In 2002, W.E. Bolton III established W.E. Bolton Construction and Service, LLC in Raleigh. Soon several large projects were awarded to the new company, including projects at North Carolina State University, Duke University, and the Federal Correctional Institute in Butner. In early 2003, the Company added Stainless Steel Fabricators, Inc. and the former Asheville Division of Bolton Corp. to its family. Presently the company has two offices, Bolton Construction and Service of Raleigh, LLC and Bolton Construction and Service of WNC, Inc. This 4th generation family business continues to offer quality construction and service abilities to our residential and commercial clients in heating, air conditioning, plumbing, fabrication, electrical, and fire protection services. This growth is only the beginning of the advancements expected in our company.